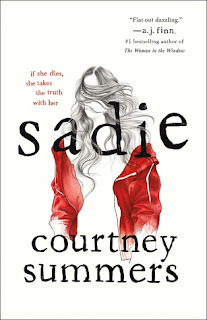 Sadie got a lot of pre-publication hype, so as I was really looking forward to reading it. Luckily, it did not disappoint. The set up of the book was truly unique -- a podcast discussing a series of events that happened in the past alongside the narrative of the events as they unfolded. This parallel narrative was interesting -- it was fun to see West discover something that we, the reader, already knew from Sadie. I can't discuss the end without being spoilery, but here is the feedback I tweeted to author Courtney Summers: asdlkjgao;dsuir[ew0qaj!!! Speaking of Courtney Summers, I had the opportunity to meet her this year at YALLFEST while I was in the middle of the book. Having the opportunity to speak with her about her book as I reading it was a lot of fun for me. Plus, she's adorable and so sweet. See?! Adorable and so sweet! 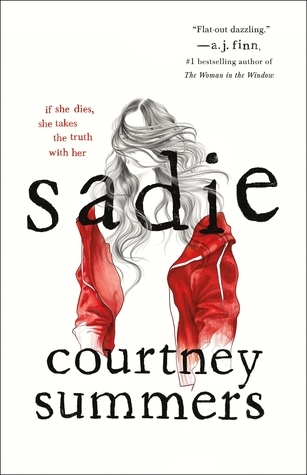 It is always refereeing to read a unique and engaging book, so I was delighted to find that in Sadie.